Iv'e been playing with backgrounds this week and have used the Indigo Blue (Cover stamps pack) supplied with the Craft magazine to create a couple of cards. 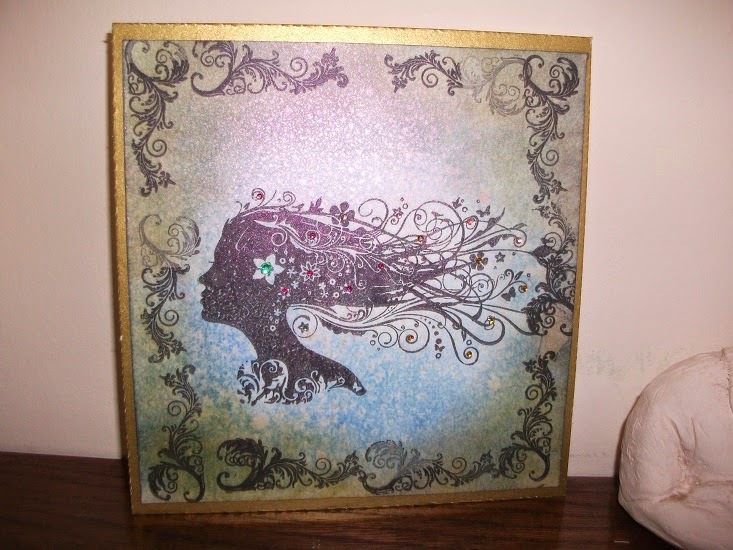 These cards were very quick and easy to make - just blending with inks and spritzing plus embossing the image and adding adhesive gems. So easy but quite effective. These are stunning, I love the backgrounds.